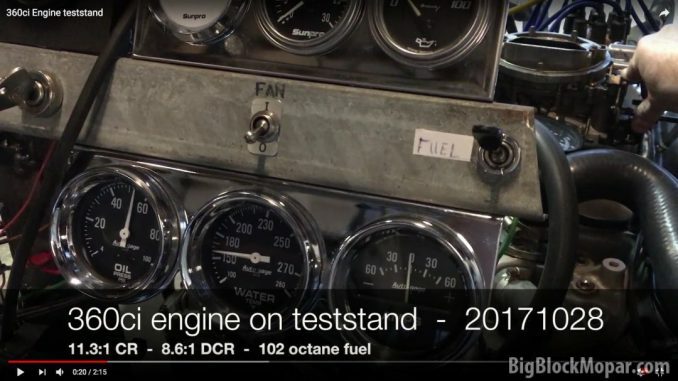 Below is a combined video of a number of clips I made during running the 360-engine on the teststand. It’s a nice little cam with no drama (CompCams XE256H) with 1.6 rockers. During the cam selection I was in doubt to maybe choose a cam with some nice idle, but logic prevailed and made me go for the most sensible option.